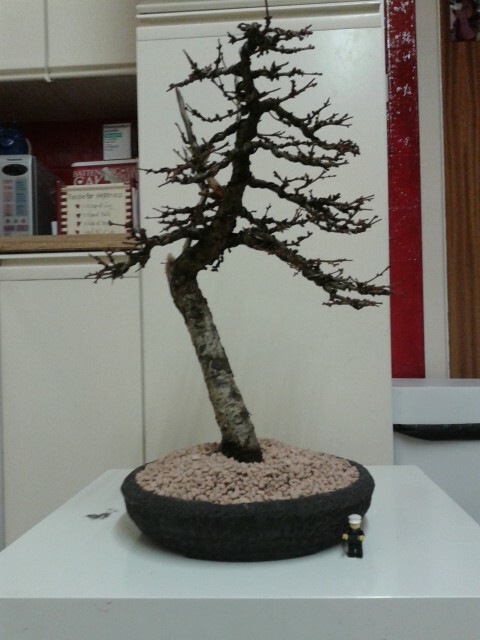 After my previous post that had negative overtones of my travails in the world of bonsai, I thought I would create a post showing a relatively successful project so far. 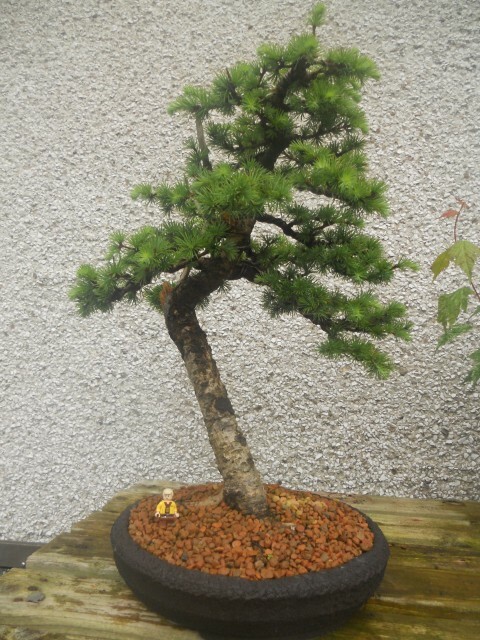 This Japanese Larch (Larix Kaempferi) was bought as raw material three years ago from Willowbog Bonsai (Peter Snart had visited for the launch of the NIBS Bonsai School). 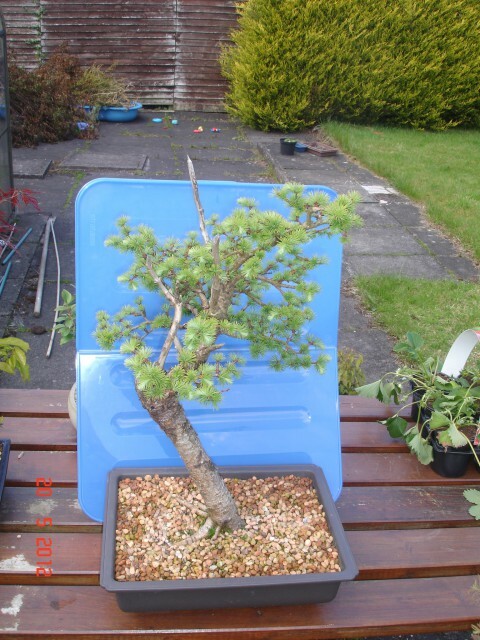 I wasn’t long as a member of the NIBS and wanted a cheap piece of raw material to work on straight away to get my future bonsai collection started. It was first styled with a lot of help back in April 2011. All branching was wired. That year all new growth was closely pinched to start to build up ramification of the branches. It was very well fed. The following Spring I rootpruned and repotted into a mica training pot. Last Autumn it was ready for a second styling. 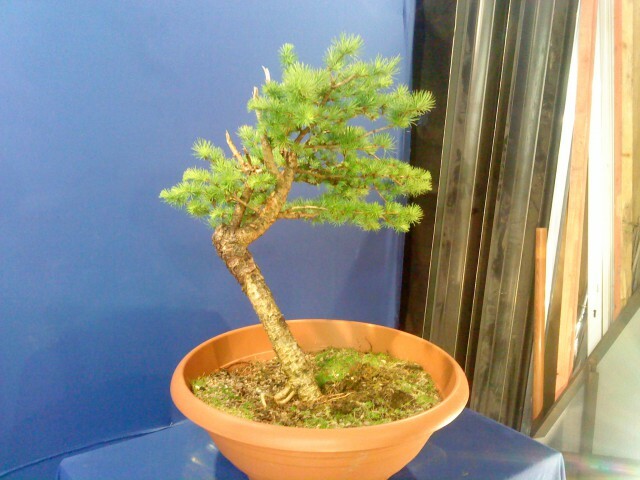 Wire was applied from base to tip of each branch. Unfortunately I forgot to take a photo. But I was much happier with a dramatic increase in foliage and ramification over the previous year and a half. 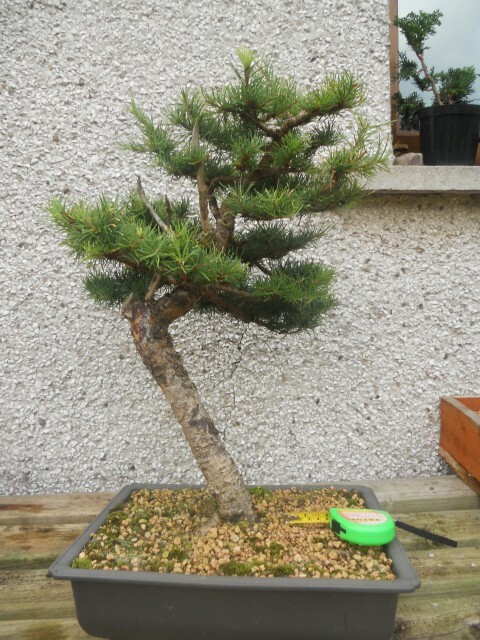 Spring this year and I repotted the tree into a round and rough textured pot that complemented the bark. 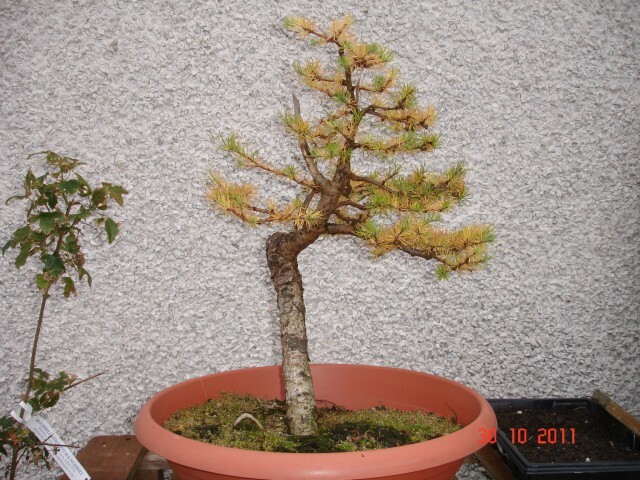 Growth was slow this year due to substantial pruning of thick surface roots in particular but it still pushed out some new shoots which were pinched in the usual manner. 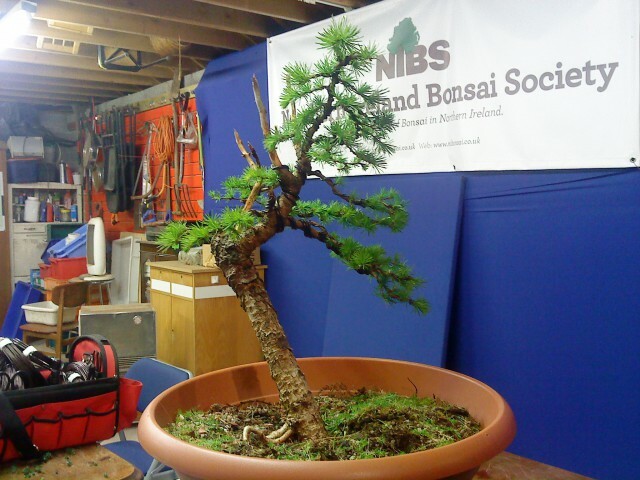 Below is the most recent image taken at the weekend with moss applied and foliage tidied up. 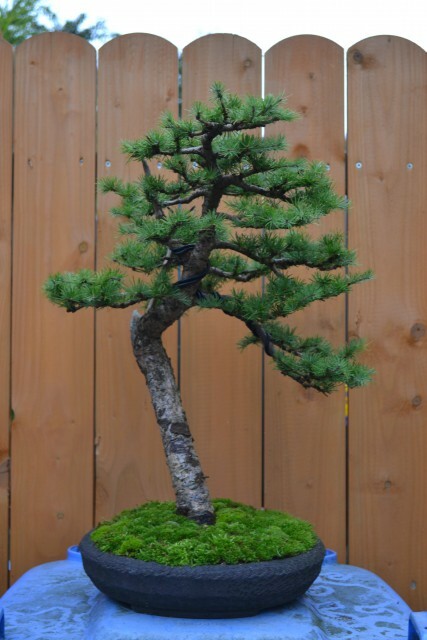 Following advice, the apex shall be further developed, natural moss will be developed on the soil surface and I hope to finally work on the jins/shari next year.